Grow your own sweet Cat Oat Grass seeds for the Cats and other pets in your home. Bring some natural new green growth indoors for your pets to enjoy. 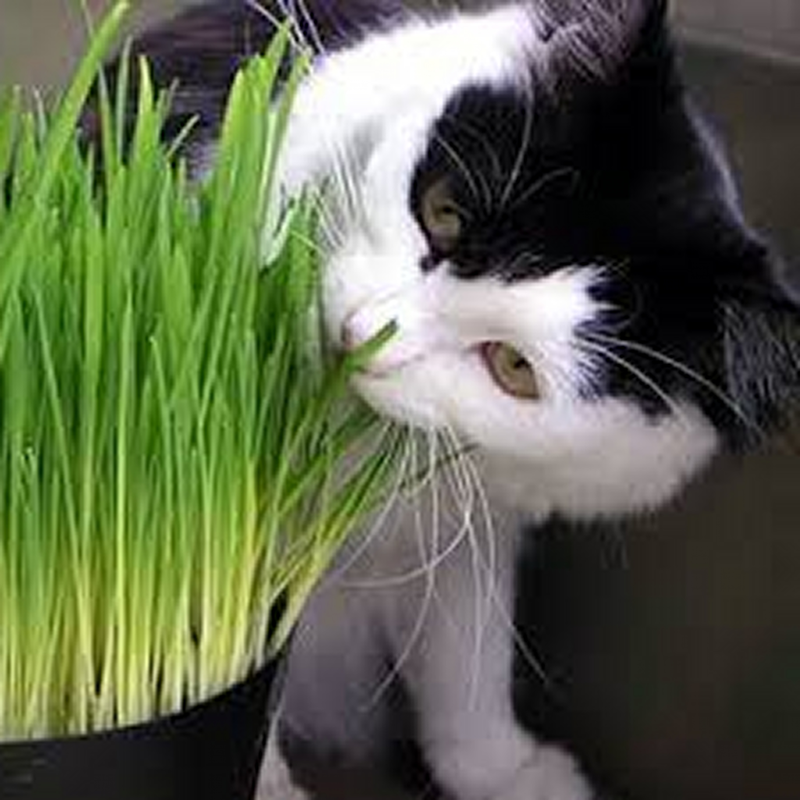 The cats and other pets will love you for providing them with the taste of the fresh green shoots of Cat Oat Grass which contain many vitamins and other essential minerals for their health. Cats and dogs when going outside in the mornings often eat fresh green grass through instinct. The lawn grass is rich in vitamins, enzymes and minerals that is good for their health, however, some lawn grasses are rough by nature which can cause a throat irritation making the animal cough and try to be sick. The initial growth of Cat Oat Grass is soft and sweet and aids digestion as it is easily swallowed without causing irritation. This is also a very nutritious treat for Rabbits, Guinea Pigs, Tortoises, Birds, Chickens and other pet reptiles and small animals as the young leaves are at their most nutritious at the early stages of growth. When your pet has used the Cat Oat Grass a few times it can be cut back and will regrow again providing fresh new green leaves. Free delivery in the UK. Please contact us for shipping costs if you would like to purchase this product and live in the EU.